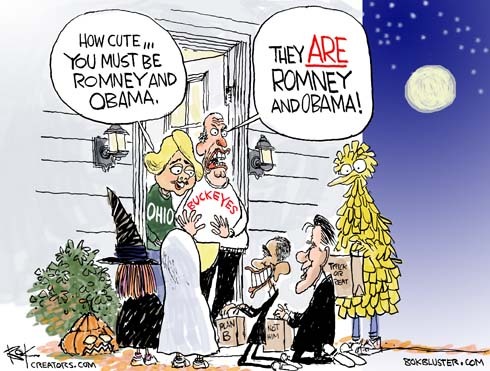 Romney’s choice of Ryan as his running mate will make the campaign less negative. That’s because now there’s a candidate I actually like. Obama later took his revenge by inviting Ryan to sit in the front row for a speech about health care and entitlements. There he insulted his guest by suggesting his plan was un-American. An unbowed Ryan stood up to the bully-in-chief with this response. Ryan is still unbowed. 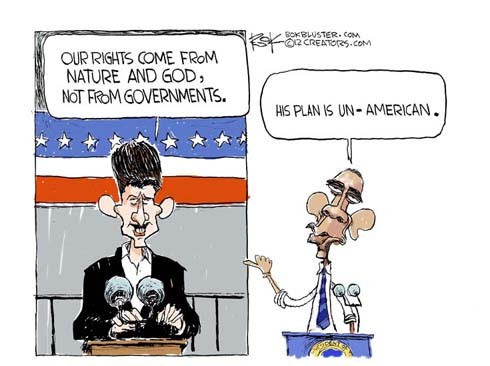 I think his remarks yesterday in his first speech as a VP candidate, about our rights coming from nature and God, and not Governments, were directed at Obama. And I suspect the president is not 100% bought into the founders’ thinking on that subject. His seems more a philosophy where he bestows rights, waivers, and penalties on winners and losers of his own choosing. Two views of government stand in clear contrast here. Ryan adds Jack Kemp style seriousness to Romney’s more free floating managerial skills. 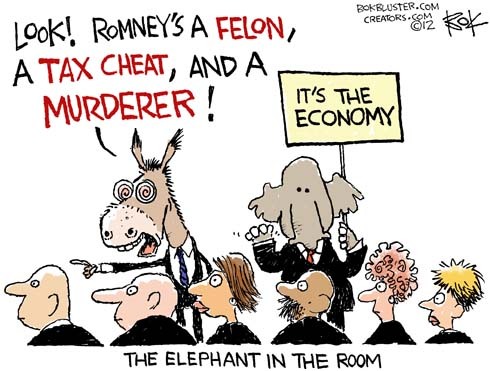 Ryan, and now Romney, will try to preserve a government of laws built on classical liberal values. Obama didn’t build that, somebody else did. But he does seem to be trying to rebuild something else. 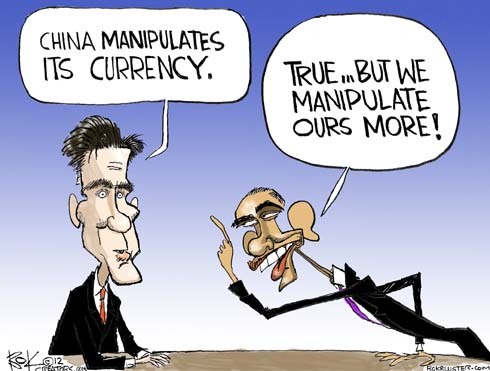 The Obama camp will say pretty much anything to distract from three and a half years of 8% unemployment. A Romney aid defended Mitt against accusations of complicity in the cancer death of the wife a laid off former employee, by reminding us of Romney Care. Even Obama doesn’t mention Obama Care. Needless to say, conservatives aren’t happy. 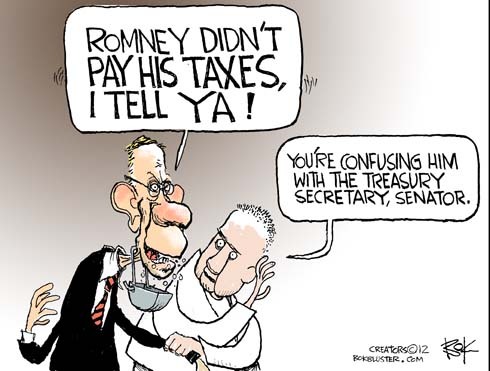 Harry Reid repeated unsubstantiated charges, on the Senate floor, that Romney didn’t pay taxes for 10 years. Nearly the same amount of time the Senate hasn’t passed a budget.